Santa Barbara-based Cottage Health has agreed to settle a data breach case with the California attorney general’s office. Cottage Health will pay $2 million to resolve multiple violations of state and federal laws. Cottage Health was investigated by the California attorney general’s office over a breach of confidential patient data in 2013. The breach was discovered by Cottage Health on December 2, 2013, when someone contacted the healthcare network and left a message on its voicemail system warning that sensitive patient information had been indexed by the search engines and was freely available via Google. The sensitive information of more than 50,000 patients was available online, without any need for authentication such as a password and the server on which the information was stored was not protected by a firewall. The types of information exposed included names, medical histories, diagnoses, prescriptions, and lab test results. In addition to the individual who alerted Cottage Health to the breach, the server had been accessed by other individuals during the time that it was unsecured. As is required under state laws, the incident was reported to state attorney general Kamala D. Harris. Two years later, while the attorney general’s office was investigating the incident, Cottage Health experienced a second breach. The second breach involved the records of 4,596 patients, and similarly, were left exposed and accessible online without any need for authentication. The information was accessible for almost two weeks before the error was identified and protections put in place to prevent unauthorised access. The information exposed in the second breach included personally identifiable information and protected health information such as names, addresses, medical record numbers, account numbers, employment information, Social Security numbers, and admission and discharge dates. Cottage Health claims that while both incidents resulted in the exposure of patient data, there are no indications to suggest any patient information was used inappropriately. 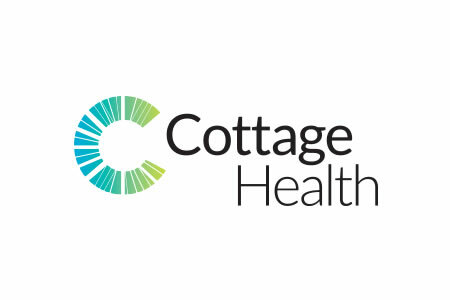 The breaches prompted Cottage Health to review its information security controls and strengthen its policies, procedures, and security protections to prevent similar breaches from occurring in the future. In each case, the health network’s security teams acted quickly to limit harm and secure the exposed information. New system monitoring tools have now been implemented, and advanced security solutions are in place that allow vulnerabilities to be identified and mitigated much more rapidly. The response to the breach may have been reasonable and appropriate, and protections now far better, but it is the lack of protections leading up to the data breaches that warranted a financial penalty. The California state attorney general’s office alleges that Cottage Health breached California’s Confidentiality of Medical Information Act, its Unfair Competition Law, and HIPAA Rules were also violated. According to the complaint, “Cottage failed to employ basic security safeguards.” Cottage Health was running outdated software, patches were not applied promptly, default configurations had not been changed, strong passwords were not used, access to sensitive PII was not limited, and regular risk assessments were not conducted. In addition to the $2 million settlement, Cottage Health is required to update and maintain information security controls and ensure security practices and procedures match industry standards. Assess hardware and software for vulnerabilities to the confidentiality, integrity, and availability of patients’ medical information. Conduct employee training on the correct use and storage of patients’ medical information.